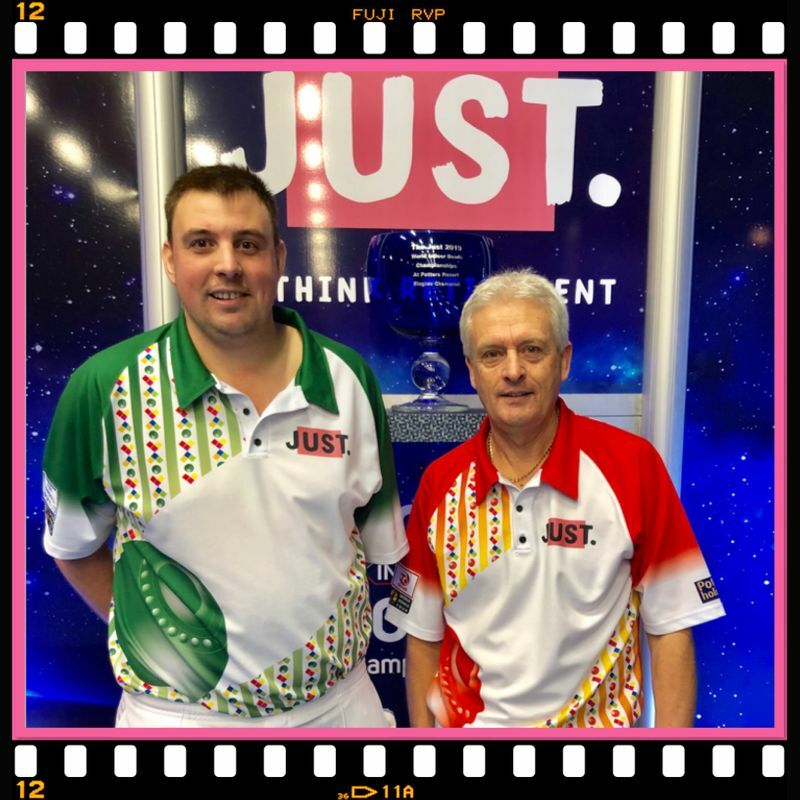 Three time world singles champion Andy Thomson MBE and local Norfolk personality Wayne Willgress lit up the International Arena at Potters with a large crowd of vociferous supporters keen to follow their 1st round head to head in the Just World Indoor Singles Championship. It was a repeat of their 1st round confrontation last year which saw 30 year old Willgress win 9-3, 3-12, 2-1, and go all the way to the semi-finals – adding the scalps of world champions Stewart Anderson and Greg Harlow before losing to Robert Paxton 6-3, 11-4 at the semi-final hurdle. This time though Thomson, seeded 15, gained his revenge and lives to fight another day. Four years ago in 2015 he made it to the final but lost in straight sets to Alex Marshall MBE however over the ensuing years after that great run, he suffered successive 1st round defeats, bowing out to Connor Cinato, Ireland’s Graham McKee and last year to Willgress. Today though the capacity crowd were treated to a pulsatating match that swayed one way then the other, with both players rising to the occasion and playing some sensational saving shots. Thomson took the first set 7-4 and after trailing 8-1 with three ends remaining in the second, scored a double and full house to cut the deficit to 8-7. He held a match lie to a respotted jack on the left side of the rink but as the tension grew, the relieved Willgress supporters raised the roof when ‘their man’ drew the shot with the last bowl, took the set 9-7 and forced the match to a tie break decider, with the verdict swaying in Thomson’s favour 2-0. Thomson waits for the winner of tomorrow morning’s match (Monday 21st Jan) between world number 1 Greg Harlow and Brendon Egan from the Australian Gold Coast.